Easy construction, no tools needed. Length: 1.2m, Width: 1.6m, Height: 1.2m. Comes with a free construction hat. 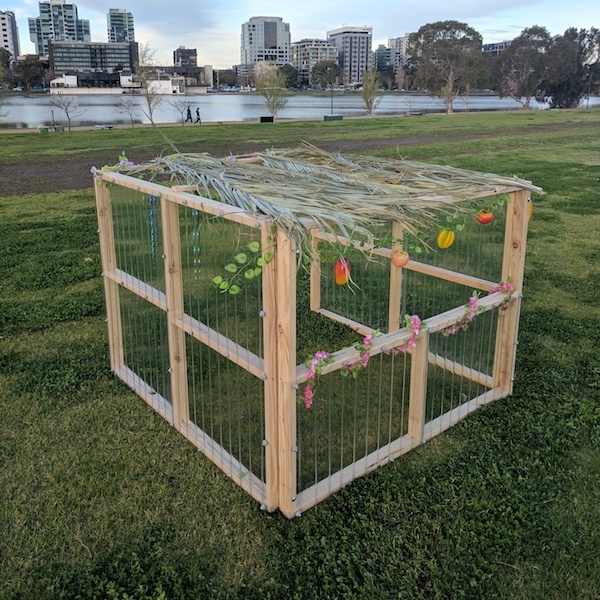 The Junior Sukkah, is handcrafted by The Sukkah Boys and first of its kind. 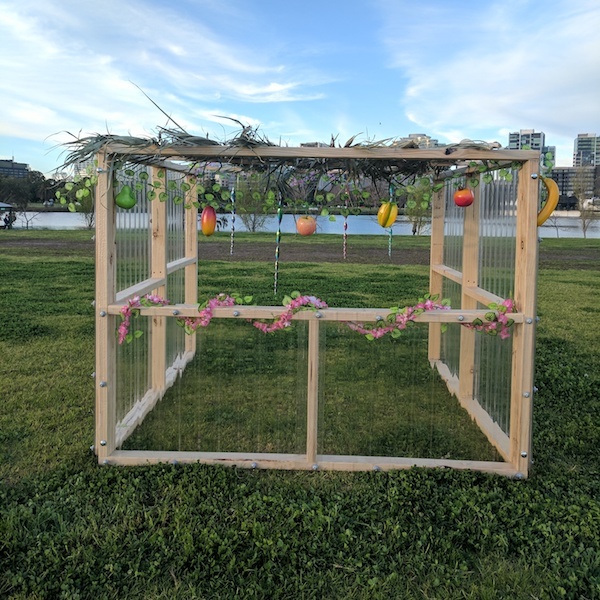 Teach your kids about sukkot with this child-friendly, interactive Sukkah. Easy to decorate and assemble, without the need for tools. Dimensions are 1.2m length, 1.6m width & 1.2m height. Fits approx. 8-10 children.